The new year is in full swing and I hope you are all off to a great start! I can never believe how fast time flies by – it seems like it was just yesterday that we were celebrating Christmas and getting ready for our annual New Year celebration. I need to be honest – right around New Year I really start to get homesick. Although I love being with my family here in the United States, I always remember the awesome traditions that we have in Mexico and how much fun the New Year celebration is. In Mexico New Years eve is an even bigger celebration than even Christmas! We always would have great food and drinks, great music, and lots of dancing. 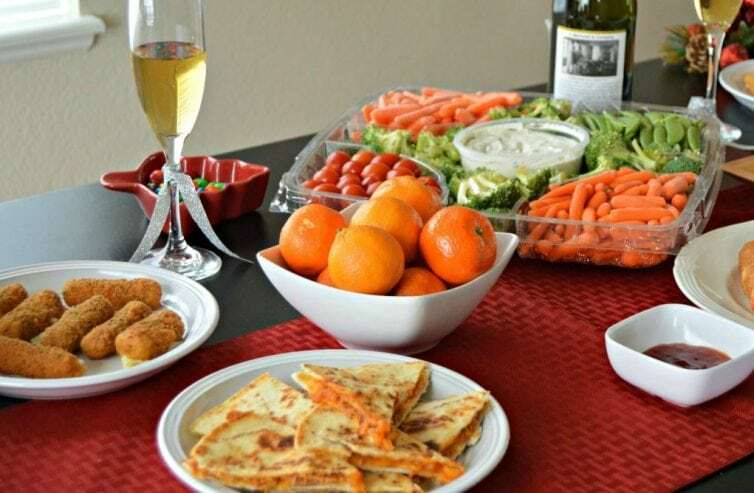 I have tried to include as much of that as possible in our celebrations here with my family (as you can see in the below New Years Eve table spread), but of course I will always miss the traditions from growing up and being with my family in Mexico. One thing that is the same everywhere around this time of year is the desire to make important changes in our lives – whether the goals are career related, healthy related, family related, or something else, there is always something that we can improve on. It is easy to come up with goals and things that we want to change, but the hard part is actually sticking to it and actually making these goals reality. Last year, my husband and I made the goal to live a healthier life – we both worked hard and saw some pretty good results. What helped us most was focusing on small manageable goals, rather than starting with a lofty goal that we might never meet. That idea is what inspired this post. The challenge that I want to give you each of you today is to set one manageable goal, every day for 30 days that will help your mind, body, and soul. I am including free printable at the end of this post that you can print off if you want to use my list as well! So what kind of goals should you make? It’s simple – these should be goals that you achieve, but that help you to get in the habit of setting and meeting goals. For example – how many sodas or other extra sugary beverages do you drink every day? 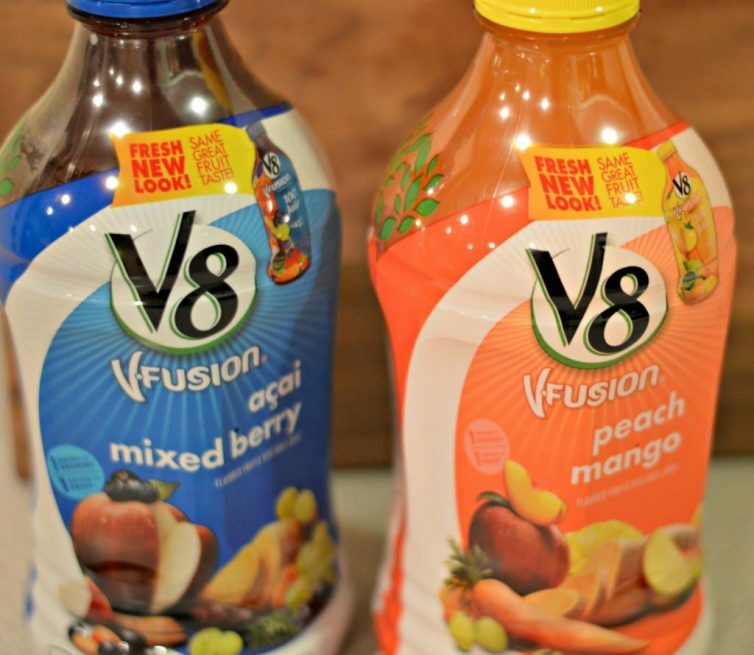 For me, this is a weakness, so one of the goals on my list is to replace soda and other sugary drinks with something that is more healthy – V8 V-Fusion 100% juice. I found these at Walmart*, and I was really impressed with the variety of flavors, and the great taste! Some of these flavors, like Peach Mango remind me of the homemade mango juices that my abuelita made for me when I was growing up. So why is this a great replacement for soda and other not-so-healthy drinks? Well, one 8oz glass provides you with one full serving of fruit and vegetables. What does soda give you? In my case, just a stomach ache and regret. If you are worried that V8 is synonymous with “just tomato juice”, wait until you try these – I know that you will love them. Invent a new recipe with healthy ingredients. 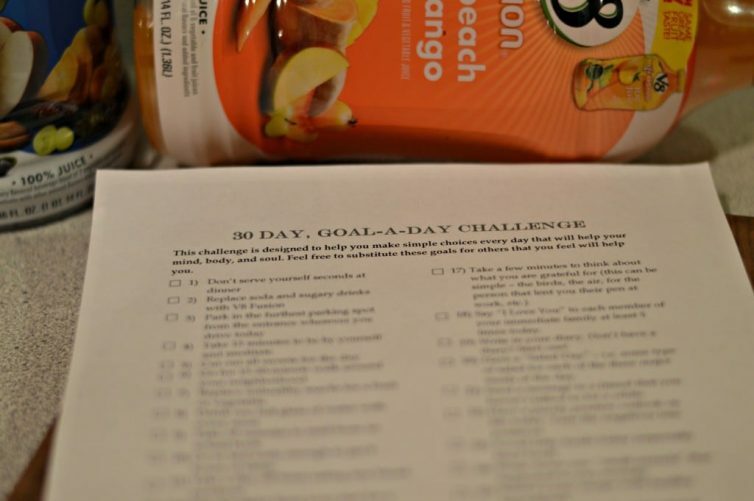 For a printable version of the “30 day, goal-a-day challenge,” click here. You will notice that not all of these goals are related to your body – many of them are things that help you to relax your mind and to feel happier. These are all important to an overall healthy lifestyle. 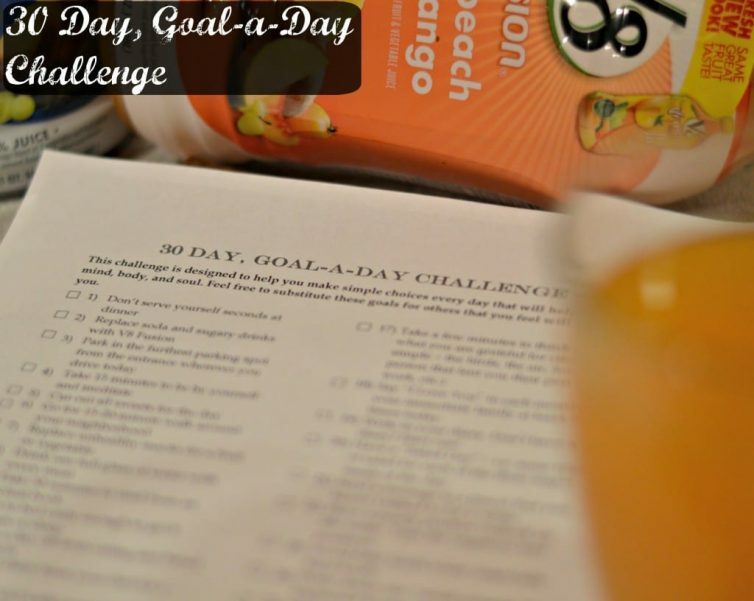 What are some other simple goals that you would include in your 30 day, goal-a-day challenge? 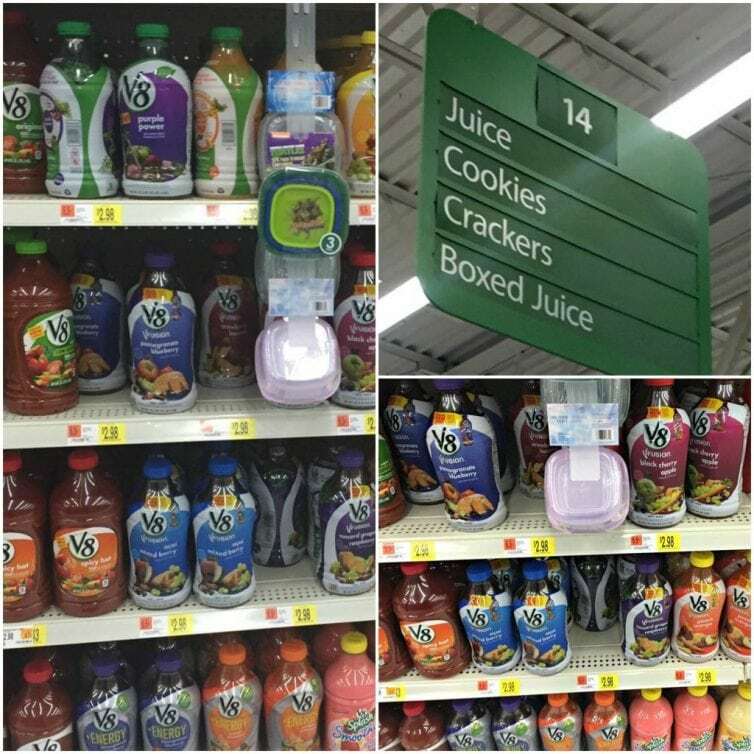 *V8 V-Fusion 100% juice is in the juice aisle at Walmart.